How frustrating is it mid-cooking when you need a spatula… your hands are covered in food… and while searching through your kitchen drawers, you manage to smear your dirty hands all over numerous clean utensils… All this mess just to grab that one spatula right in the nick of time before your recipe begins to burn! 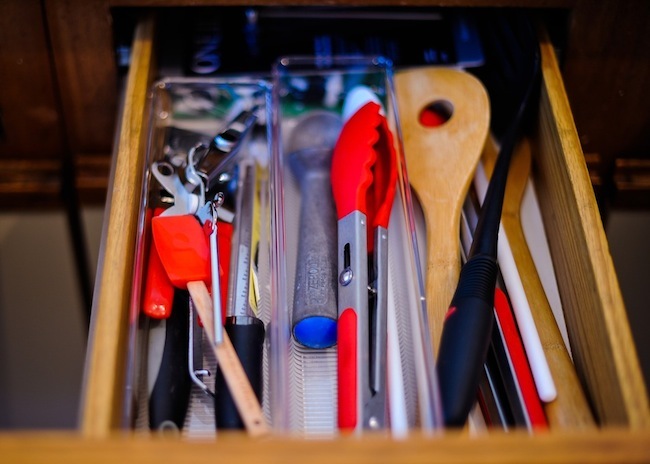 I decided I needed a dose of the FH treatment – TIME TO GET ORGANIZED, so I hiked on over to the Container Store and got some of the necessary drawer organizers so I could put this issue to rest. 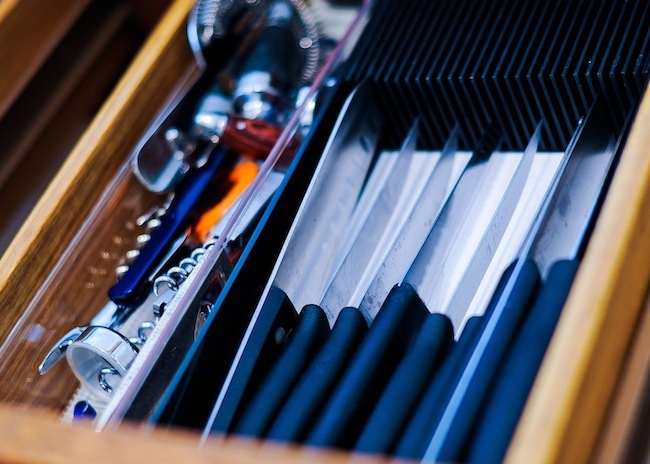 Remove all items from your kitchen drawers. 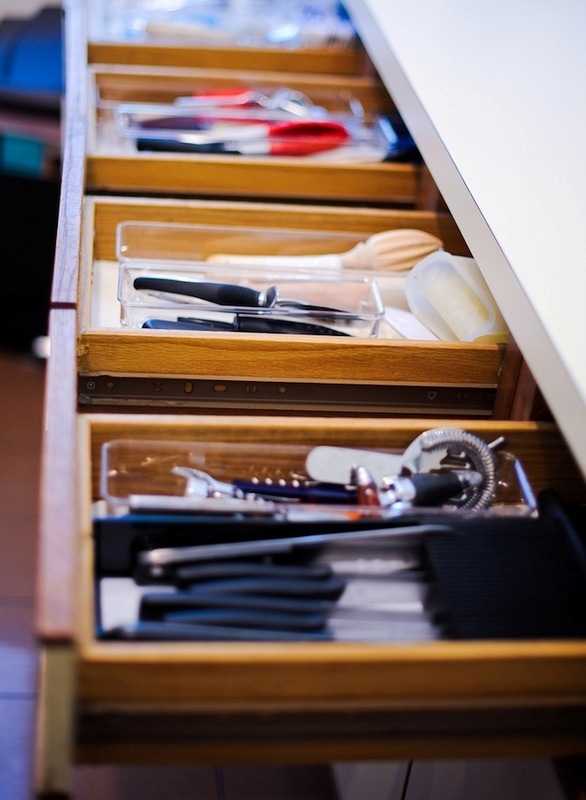 Decide which items should be designated to each drawer. (One for knifes, one for serving utensils, one for baking utensils, etc) This will make life easier when you are searching for items in the future. Get out your tape measurer and measure the length, width and height of each drawer (write it down!). *Height is something often over-looked, but if you get a container that is too high, your drawer won’t close, so don’t forget to take this measurement into account! 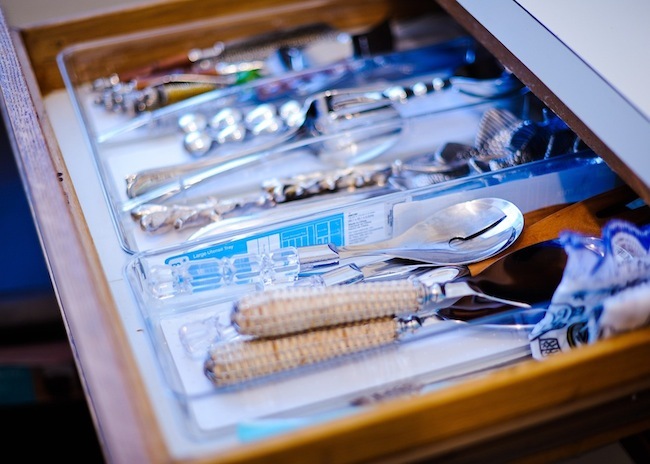 Take note of which drawers have long utensils and which have wide utensils and come up with a rendering of how you want each drawer to look… Ex. In my 9 inch wide drawer, I knew I could fit three 3-inch-wide containers across for skinny items, or for wider items, I could do one 6-inch-wide and one 3-inch-wide. 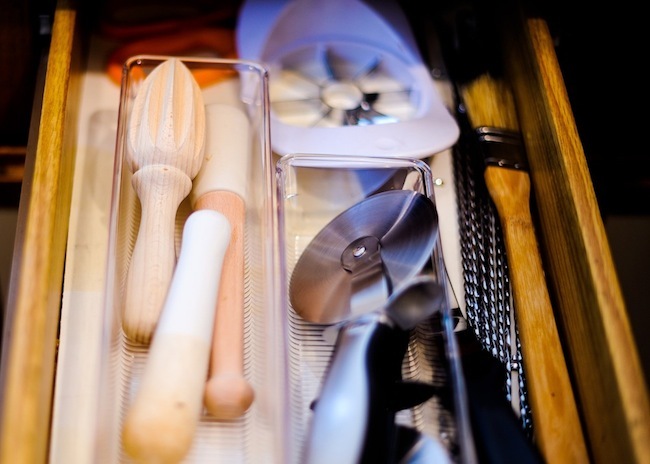 Pizza cutters are wider than forks, so for drawers with wider utensils, you need to keep this in mind. Maybe get a little crazy and measure a few of your utensils to make sure they fit!